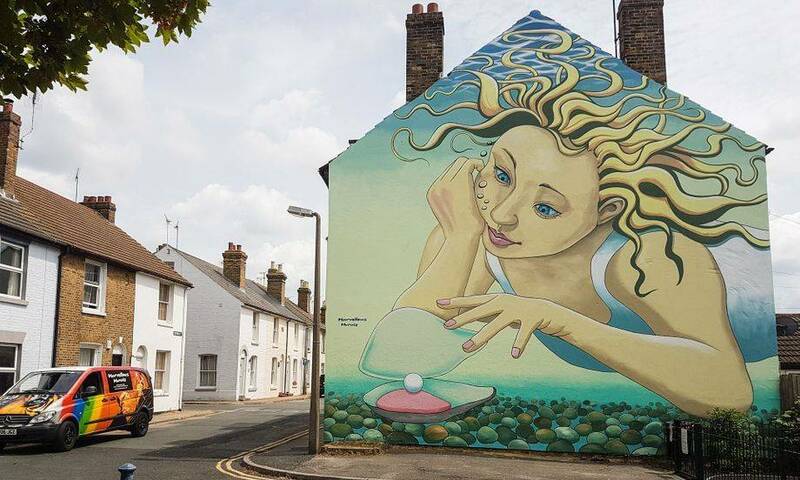 This huge mural was hand painted over six days as part of the Whitstable Biennale. 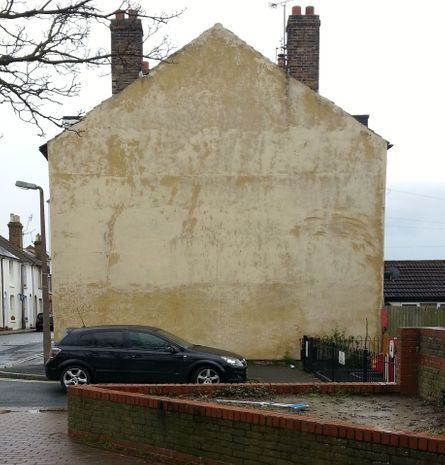 This wall had been an unpainted eyesore in the middle of town for many years. 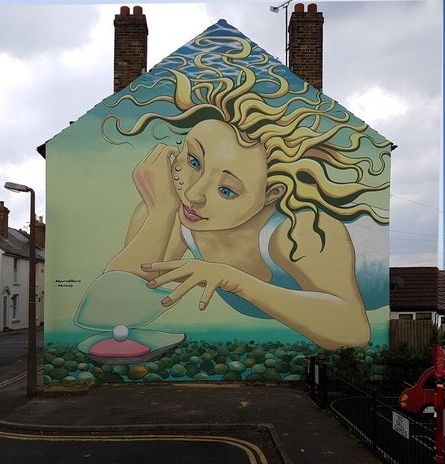 The render on it was so soft and sandy that people had carved graffiti into the surface, so we had to clean the whole surface and re-plaster parts of the wall before treating it with a stabilising solution and then painting it. Whitstable is well known for it's oysters and this was very well received by the local population. It is based on a picture of my Daughter, Sophie.